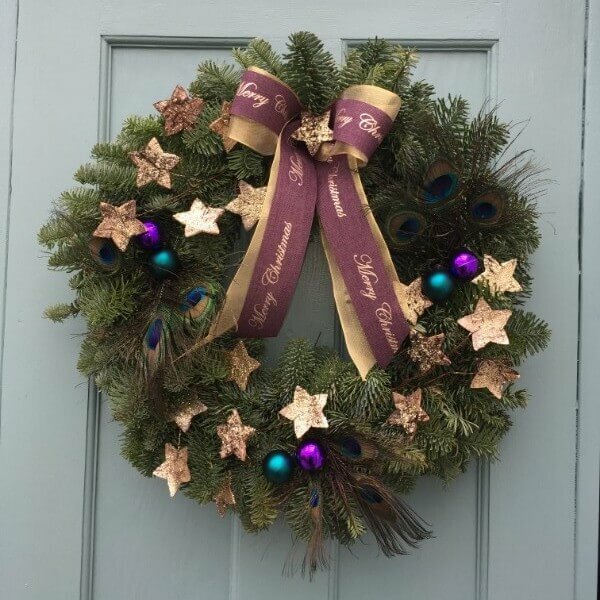 The lovingly-crafted Goddenwick Wreath can’t be missed, with it’s big bow playing the start role. 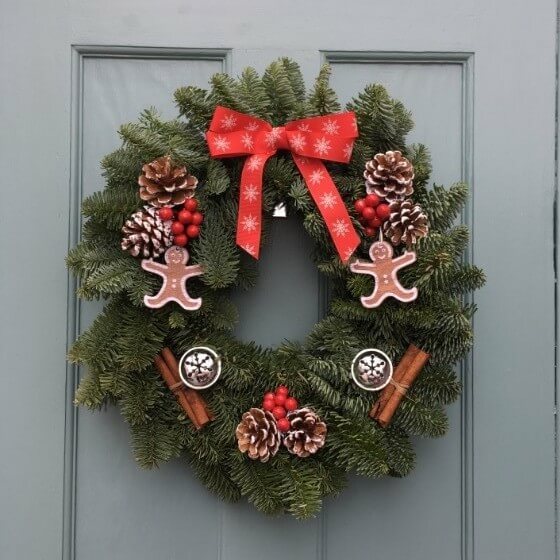 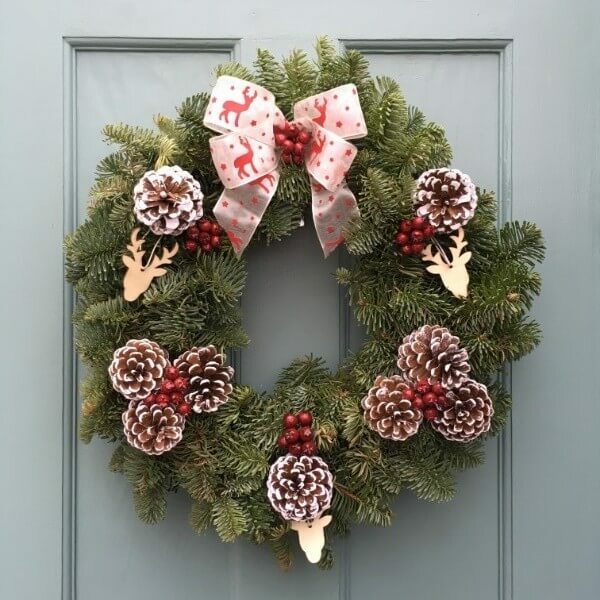 Adorned with pine cones, faux berries and rolled cinnamon sticks, this beautiful wreath is a subtle and classy addition to any door. 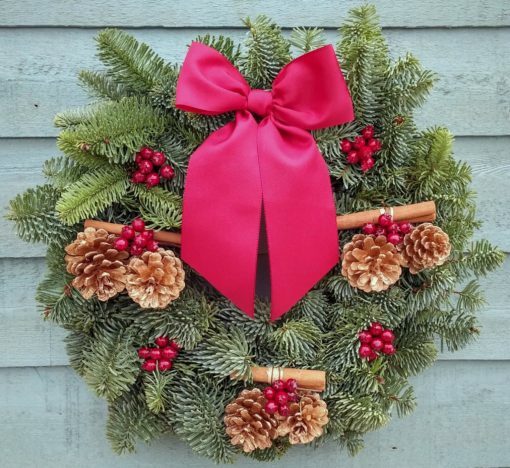 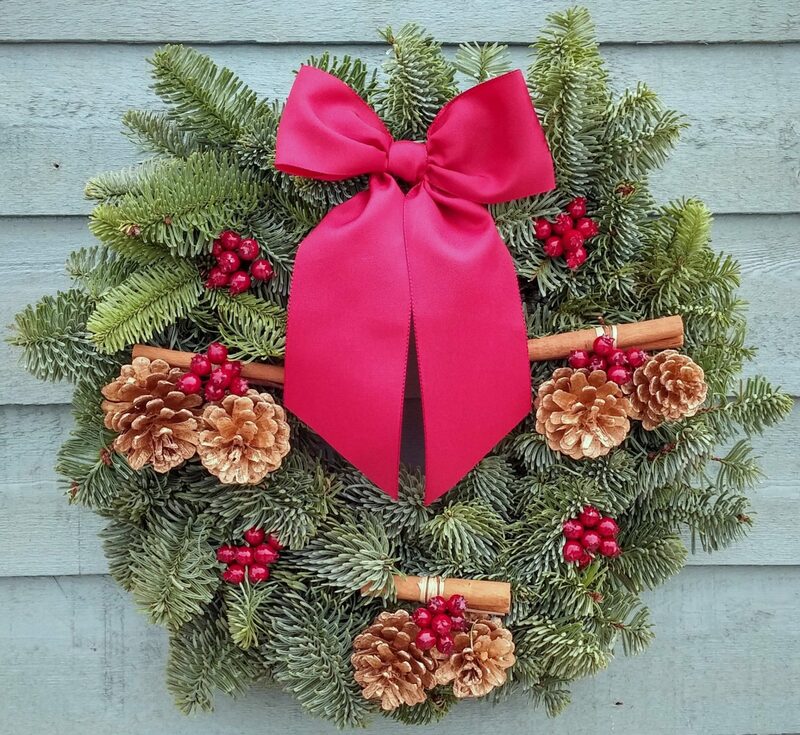 All our wreaths are handmade fresh from Christmas tree cuttings. 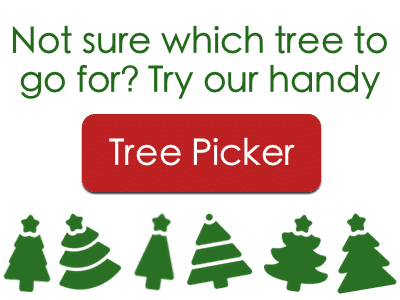 I wanted to let you know that the Christmas tree that arrived yesterday is first class – wonderfully bushy and a superb shape.